Tasty Hand Pulled Noodles | Oh No! Not Another NYC Food Blog! Fresh noodle house in Chinatown. 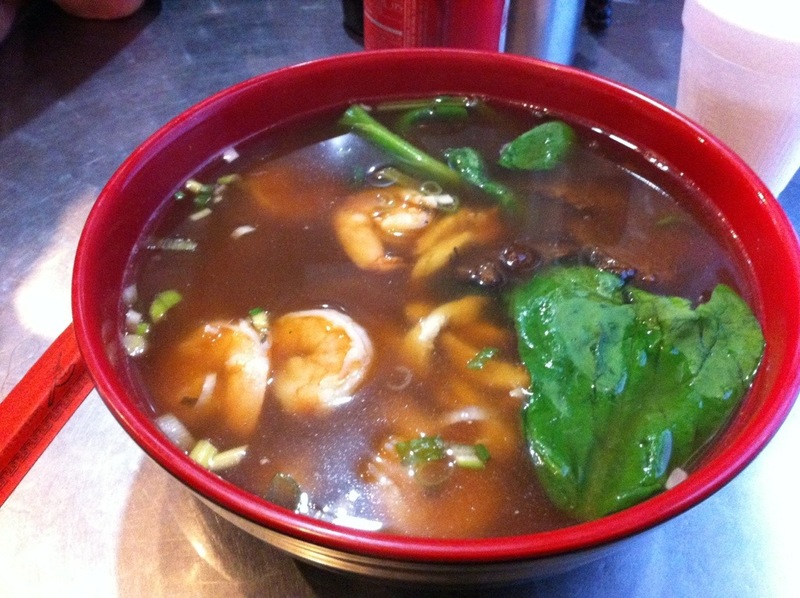 I had the House Special Noodle Soup #2 with chicken, shrimp & beef. 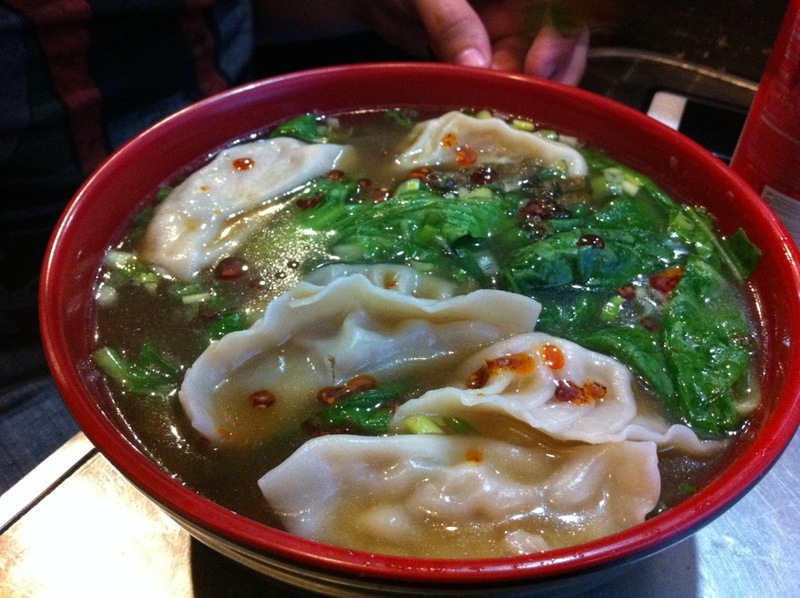 My DH had the Dumpling Noodle Soup with mixed dumplings and noodles. The noodles (both hand pulled) were spectacular. Silky with a bit of resistance; the perfect noodle texture. The broth was also fantastic. Minimal – a big wooden desk for the server/cashier/hostess to sit behind and small tables wedged into every square inch of the floor. Perfunctory, but you’re not there to see the waiter; you’re there to stick your face in a bowl of silken delight. This is one of those amazing little hole-in-the-wall joints you hope to find down a twisting side street in Chinatown. 4.5 out of 5, even though the beef was a mite fatty for my taste, and one of my shrimp was a tad muddy. The noodles are just that good.